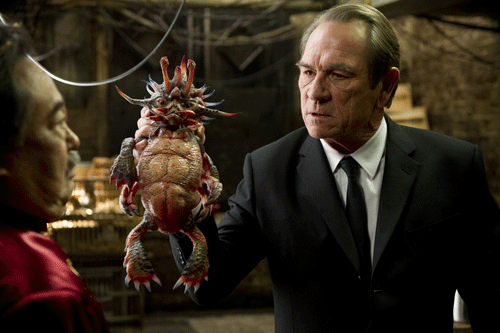 I’m feeling particularly kind today, so here’s an exclusive Men in Black 3 movie clip featuring Agent K (Tommy Lee Jones) and Agent J (Will Smith) taking on Spiky Bulba. My buddies Shawn Mathenia and Ben Simpson attended the screening last night, and the report is the film is a winner. I hope to have Shawn’s review posted by Friday, and my plan is to see it over the weekend and post my own review (just in case Shawn doesn’t give Brolin the praise he deserves) next week.